Born and educated in Australia. Lived and worked for the last 30 years in Sweden. Graduated from Canberra School of Art and Australian National University in textile, silver- and goldsmithing. 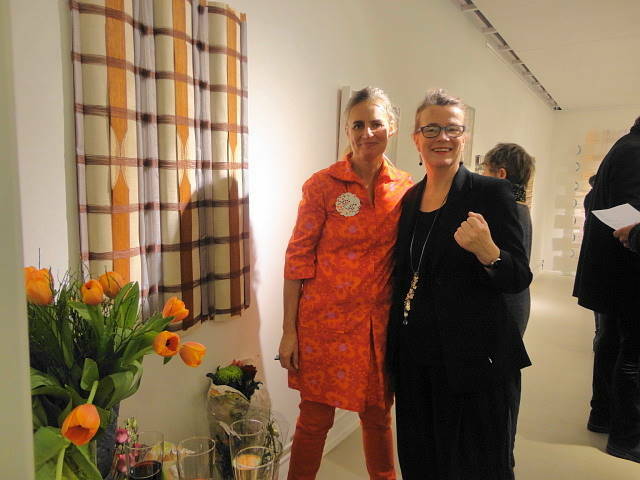 Participated in a number of exhibitions and have exhibited in Sweden, Australia, San Francisco and in many European cities including Oslo, Helsinki and Barcelona. Have represented Sweden on many occasions and is represented at the Swedish National Museum, Statens Konstråd and a number of local cities. “I work in a variety of materials including silver, aluminium, iron, copper and plastics. The pieces made into jewellery are constructed using textile techniques such as weaving, knitting and stitching. The rhythmical forms of colour and line explore and connect through structure. I play with the simple forms shaped to move freely on the body. These techniques and materials allow me to work spontaneously with large forms which can give a dramatic effect to my work”. Interested in my work? Just send me an e-mail! 1999 ”3 dimensioner”, svensk textilutställning, Museum of Decorative Applied Art, Riga, Tartu, Kaussas. 1996 Koru. Artificuim Arte Artificium Rom, Helsinki, Stockholm, Odense.